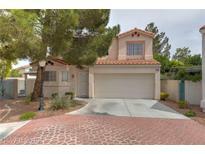 Below you can view all the homes for sale in the American West Village subdivision located in Las Vegas Nevada. Listings in American West Village are updated daily from data we receive from the Las Vegas multiple listing service. To learn more about any of these homes or to receive custom notifications when a new property is listed for sale in American West Village, give us a call at 702-930-8014. Home is in excellent location close to schools and shopping MLS#2090303. Nationwide Realty LLC. Fireplace in the family room, large master bedroom with walk in closet. Private backyard with covered patio. MLS#2087345. ERA Brokers Consolidated. Private yard w/patio cover, large shed/workshop, grass, and fruit trees! MLS#2086035. BHHS Nevada Properties. Clean and Ready to Move in! MLS#2084681. Win Win Real Estate. Charming Guard Gated 3br Home Centrally Located To Freeways,Entertainment,Shopping And Schools!home Is Situated On One Of Larger Lots In Community With 2 Yards Perfect For Entertaining!looks Like The Model With Open Floor Plan,Upgraded Flooring Throughout,Large Family Room And Oversized Loft W/Builtin Upstairs.Gourmet Kitchen W/Nook.Spacious Master Bedroom And All Bedrooms Have Mirrored Doors.Home Will Not Last Long At This Price! Call Us Today MLS#2082837. LIFE Realty. Easy to maintain backyard and home has it's own private driveway MLS#2083143. ADG Realty. Gorgeous Home Looks New 4bd 2ba W/Beautiful Newly Replaster Pool W/New Tile On A Large Lot*336 Sq Ft Additional Living Space*kitchen W/Granite & Customized Cabinets*livingrm W/Fireplace*huge Sep Familyrm*woodlook Tile*custom 2tone Paint*new Baseboards New Blinds New Fixtures*baths W/New Custom Tiled Tub & Shower Surrounds*good Sized Bdrms W/Patio Doors To Lovely Backyard*beautiful Master W/Walk In*no Hoa*nicely Landscaped*come See For Yourself! 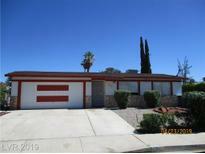 MLS#2081100. Elite Realty. Easy walk to Elementary and Jr High schools/Lovely backyard with covered patio/Shed-workroom in back with box air and fridge, place for tools and storage/3rd bdrm converted to den with french doors and built-in shelves/2nd bdrm converted to sitting room for master/Garage converted to huge family room with incredible built-in bar, sink and mini fridge, 1/2 bath/All appliances included/Sq Ft doesn't appear to include garage conversion MLS#2080119. Realty ONE Group, Inc.
Community park, pool, and common area maintenance are part of the HOA. MLS#2079206. Opendoor Brokerage LLC. Ask about our down payment & closing cost assistance. MLS#2079166. Century 21 Americana. Featuring 3 bedroom, 2 full bathrooms, huge backyard, kitchen w/granite counter-tops, tile flooring and NO HOA! MLS#2075895. GK Properties. Community pool and trails, along with common area maintenance are part of the HOA. MLS#2073461. OD Nevada Brokerage, LLC. 2 sliding glass doors allow access into the back yard with 2 patios. Furniture is included. MLS#2071965. RE/MAX Advantage. Community park, pool and trails along with common area maintenance are part of the HOA. MLS#2070215. Opendoor Brokerage LLC. Charming Community With Community Pool, Guest Parking And Green Spaces. MLS#2070148. Realty ONE Group, Inc.
Close To Shopping, Schools, Freeway Access ** MLS#2070061. Realty ONE Group, Inc. Extravagant, contemporary finishes throughout this home include, a chef's kitchen with white shaker cabinets, stainless steel appliances, a gas stove, grey quartz countertops, wood-like flooring throughout, white shutter window coverings, ceilings fans, a dual sided fireplace, contemporary walk-in shower with designer tile, a private backyard and this home is situated in a gated community near shopping, restaurants and highway access. MLS#2069976. Nationwide Realty LLC. American West Village is a gated community with Pool and Parks that offers a great location, easy access to freeway, hospitals, shopping, dinning, and public transportation. MLS#2068661. Luxury Estates International. 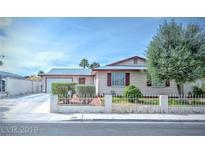 Enjoy the good Life home located minutes from The Strip . MUST SEE IT MLS#2067211. Keller Williams Southern Nevada. Gated security and a community pool are part of the American West HOA. MLS#2063490. Opendoor Brokerage LLC. Request showing today or with your preferred market specialist! MLS#2064376. Keller Williams Market Place I. Great Open Layout 2 Story 3 Bed 2 Bath Home Located In Highly Desirable Lone Mountain Community In The North West. MLS#2064055. BHHS Nevada Properties. Large master bedroom. Mountain view from backyard. MLS#2063399. Urban Nest Realty. All bedrms up, Large Master bdrm, ba w/granite shower & dual sink vanity, Laundryrm down, Low maintenance yard, LIKE NEW! MLS#2061561. Realty ONE Group, Inc. Custom painted Garage floor. Great for family and entertaining! MLS#2061312. Fradella Realty & Investment C.